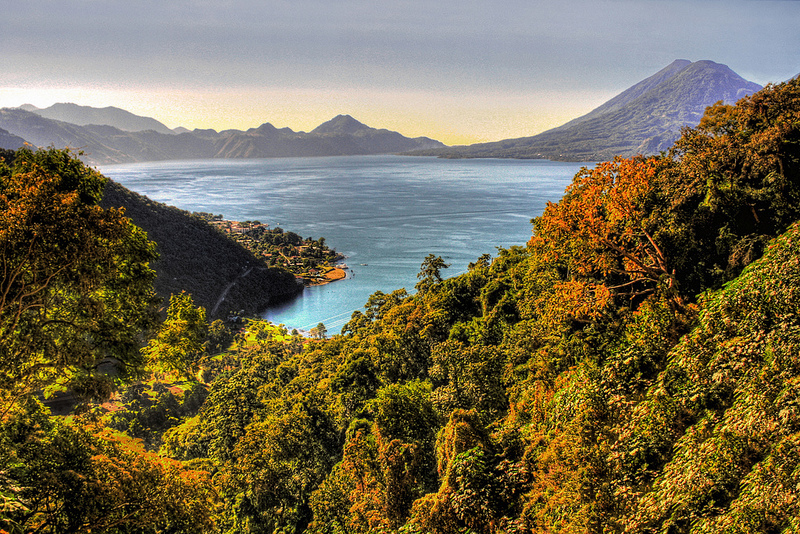 Between volcanoes and coffee trees, Lake Atitlán is, according to the famous german geographer Alexander Von Humboldt, “The most beautiful lake in the world”. 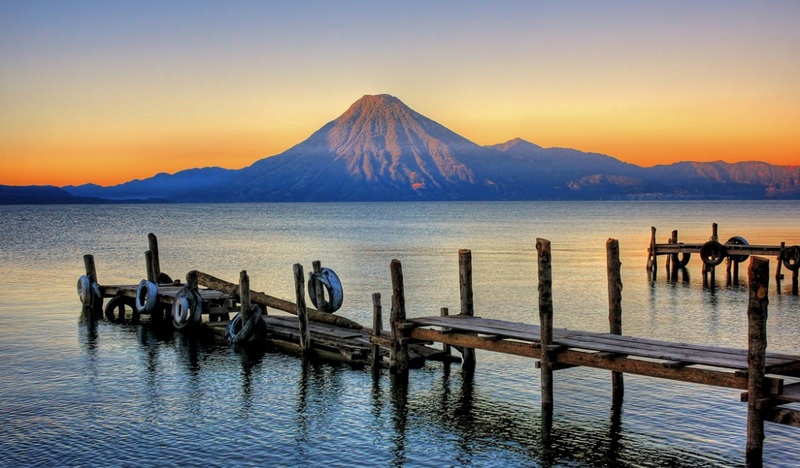 What to do in Lake Atitlán? 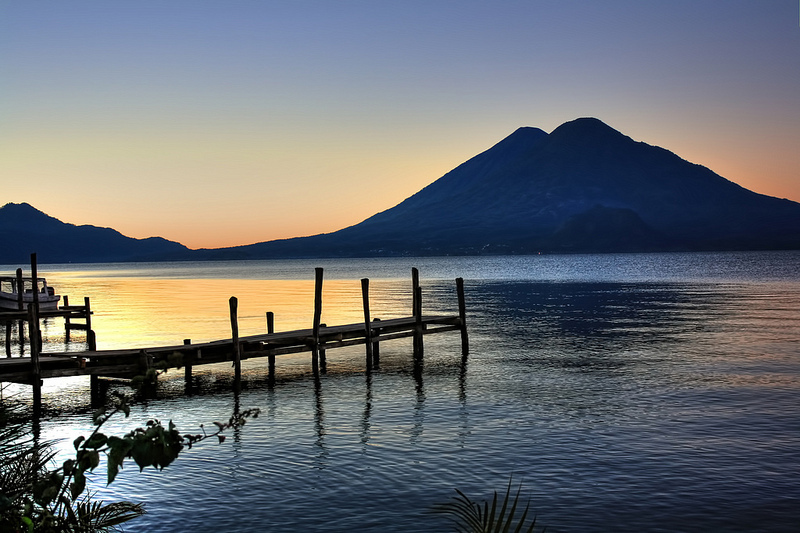 Nestled in the heart of the Guatemalan mountains, Lake Atitlán is a must-see destination for any trip to Guatemala. It impresses not only by its size (an area of ​​130 km), but also and especially by its environment: indeed, it is surrounded by 3 majestic volcanoes, and many reliefs. It is also the deepest lake in the region with more than 350 meters. This lake, described by many as the most beautiful lake in the world, was formed by a major volcanic eruption dating back more than 80,000 years. Today, we can admire three volcanoes whose highest peak at 3500 meters. 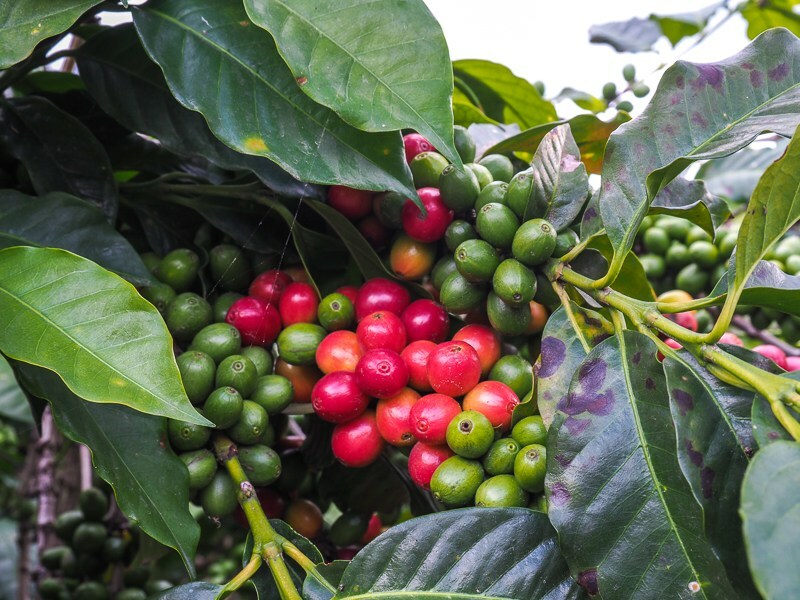 The majestic reliefs and populated forests, coffee plantations and cocoa, offer lush colors and different depending on the time of year. 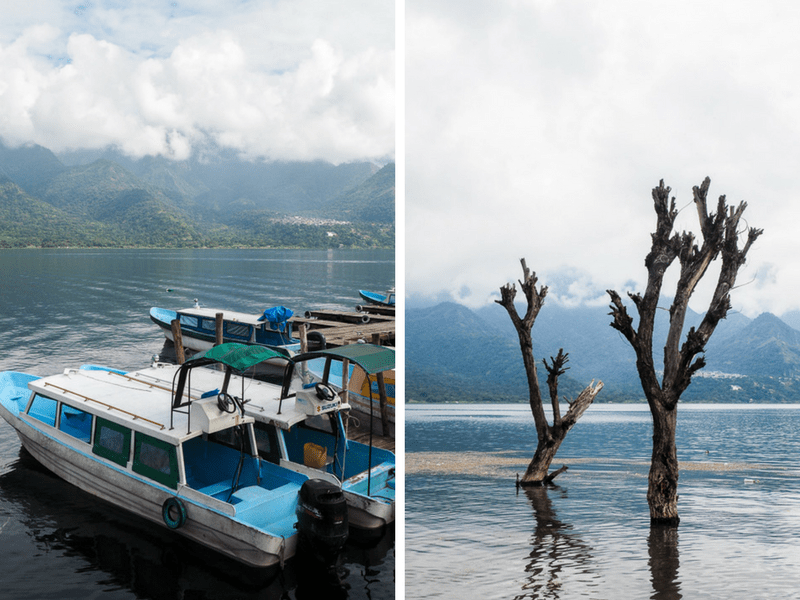 Located 3 hours drive from Guatemala City airport or two hours from the sublime Antigua, Lake Atitlán is a must for your trip. Small peculiarity, here we travel by boat! 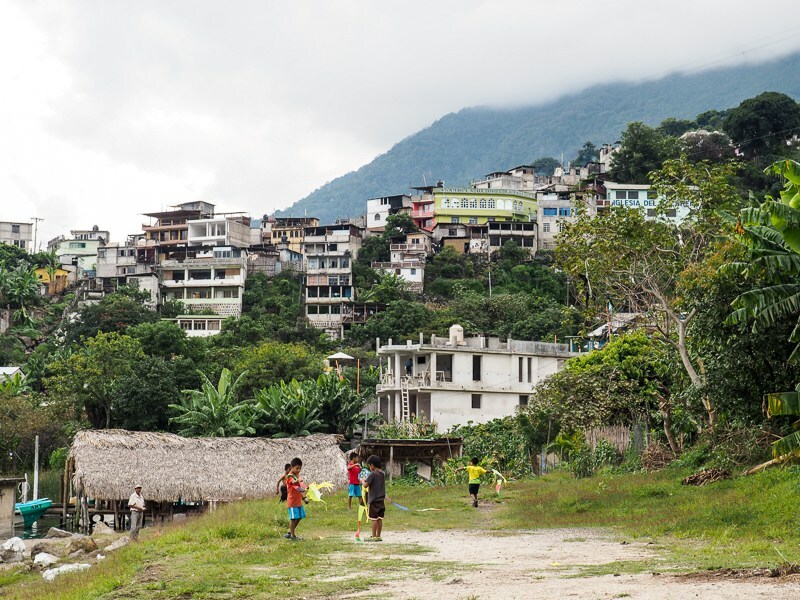 Thus, you will arrive in the main city by car, Panajachel and can go to the port to discover the ten villages that populate the shores of the lake. 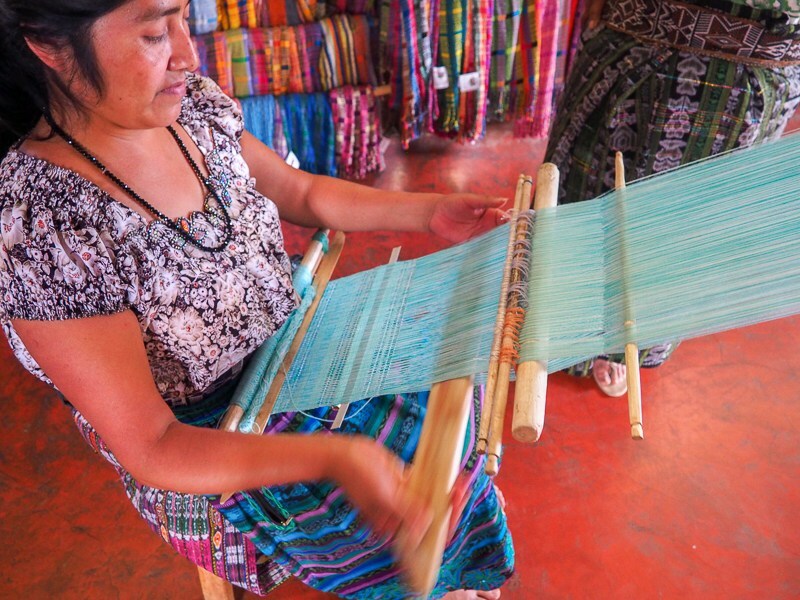 If Panajachel is the least charming and most touristy city, it is recommended to go to Santa Cruz la Laguna if you want calm, San Marcos to enjoy massages, yoga classes, and a relaxing atmosphere, and Santiago Atitlán or San Juan for the artisanal and authentic side of the Mayan villages. To reach each village, you will board a “lancha”, the local boat, and enjoy a superb ride on this lake located at 1500 meters altitude! Here, the “national sport” is the kite … fighting! The children fly their kites with the objective of dropping those of others. This is the highest degree of violence you will see from the Mayans! Haha! To discover the real San Pedro, leave the edge of the lake and climb the hills to reach the village center. Public markets and street food kiosks give a different look to the village. 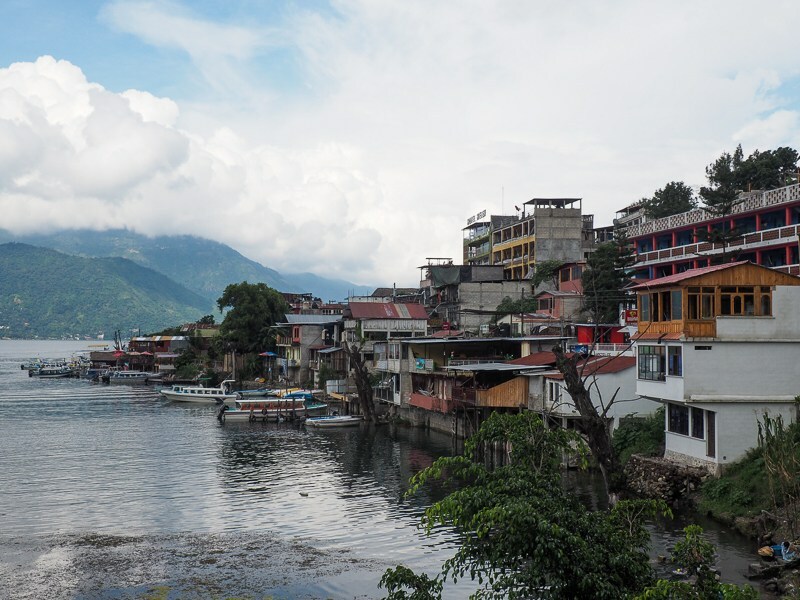 Surprisingly, a large Jewish community settled on the lakeside in the village of San Pedro La Laguna. Hotel listings and menus are written in Hebrew. Let’s say it’s the first time I’ve seen this in Central America! If you are looking for a more traditional Guatemala, it is better to choose another village, or to settle a little higher in the hills. My favorite activity in the area was without a doubt the rise of the Indian Nose. More accessible and lower than the three volcanoes of Lake Atitlan, the Indian Nose is a summit that offers an incredible view at sunrise. I hired a guide the day before the hike, and thankfully because I would never have found the trail! Through the cornfields and the forest, the guide opened the way with a machete. The sky was completely black and it was our headlamps that showed us the way. After about 40 minutes of climbing, we arrived at the summit, just in time to drink a coffee that guided us had brought as a surprise. That’s what I call a coffee with a view! As the clouds dispersed, the sun came in. In the distance, the dogs barked to mark the beginning of the day … a real moment of happiness. 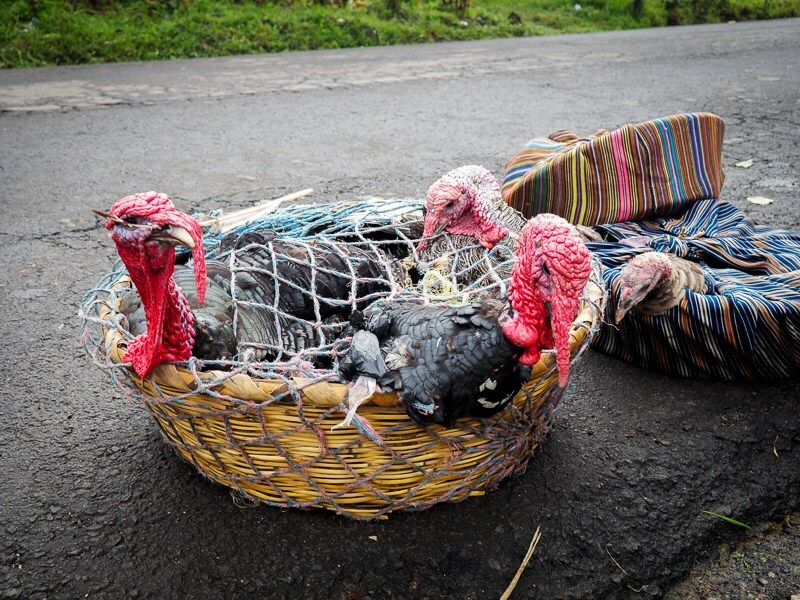 No bus in the area, so a driver put us in the box of his pick up and we were able to share the space with a rope of wood, a woman, her child … and four turkeys! Haha! Right next to San Pedro is another small village called San Juan Laguna. 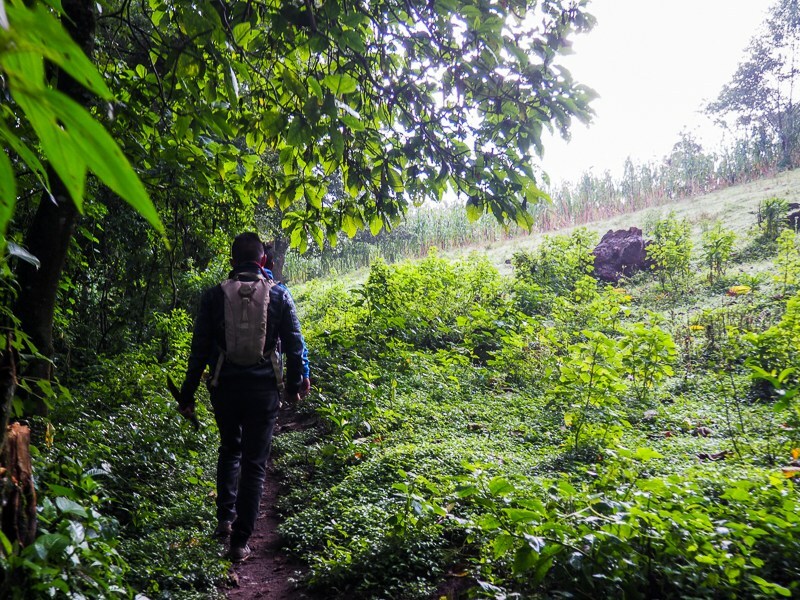 I decided to walk from one to the other despite the steep hills that must be crossed in the volcanic landscape of Atitlan. 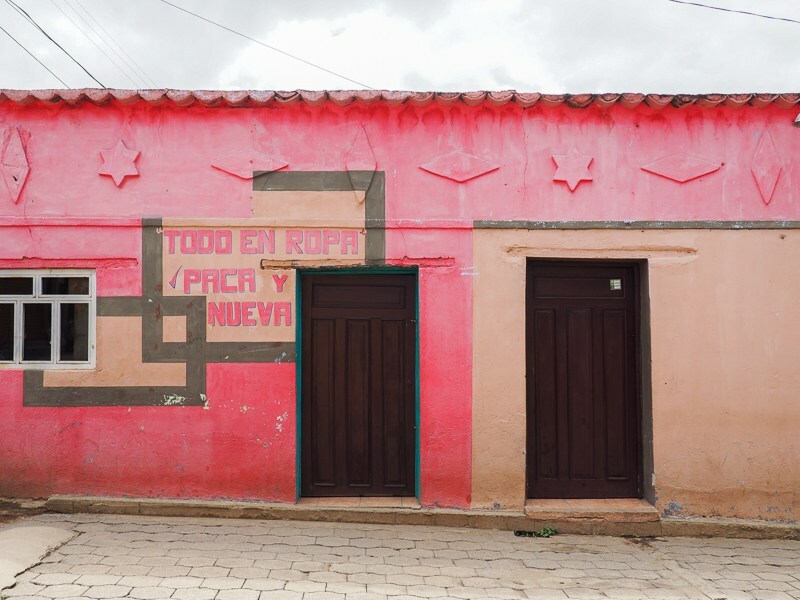 Much less touristy than San Pedro La Laguna, here are the cooperatives that have the spotlight. 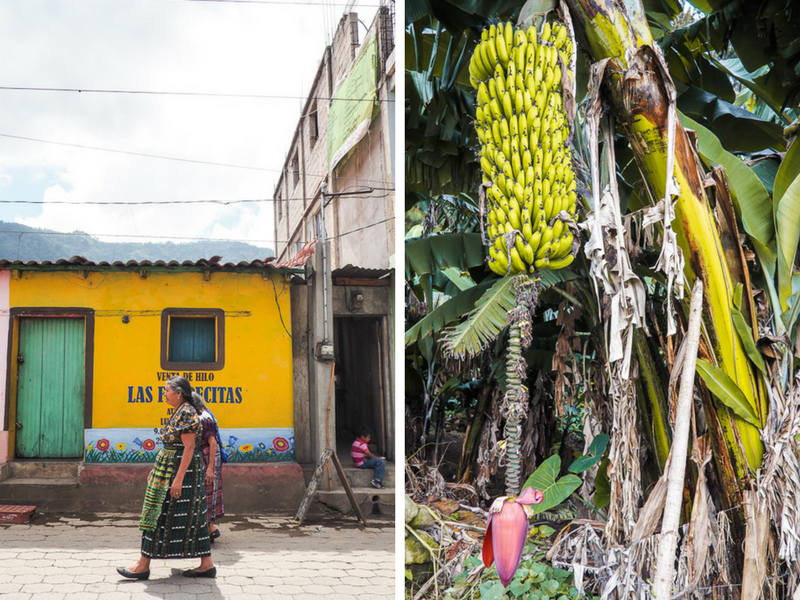 Coffee plantations and weaving workshops follow each other in the colorful streets. I went to the weaving workshop Ajto’ooneel Ixoq where women make scarves, tablecloths and other fabrics in a traditional way. 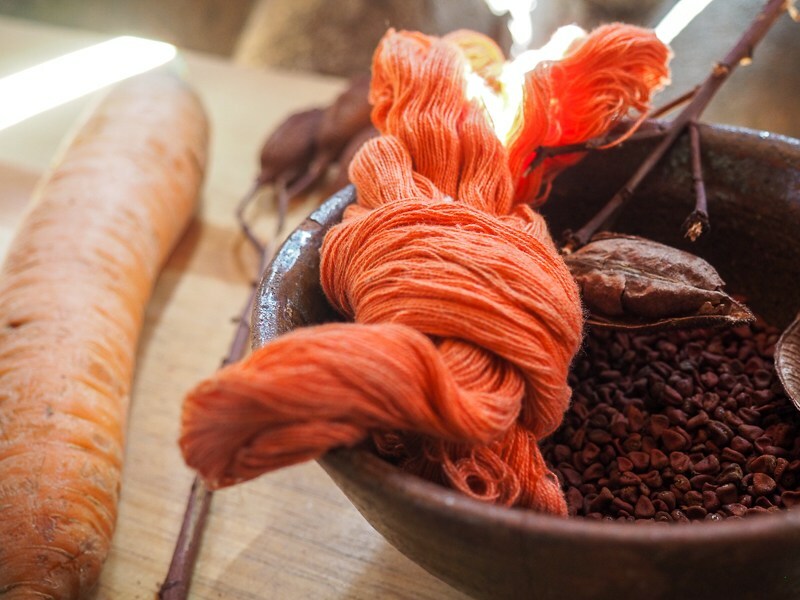 It is the dyeing stage made with natural ingredients that surprised me the most! Panajachel is the village I least liked of the three. Passage required for transportation, its streets are busy and noisy. On the other hand, if you want to bring back a souvenir of Guatemala, this is the place to shop! 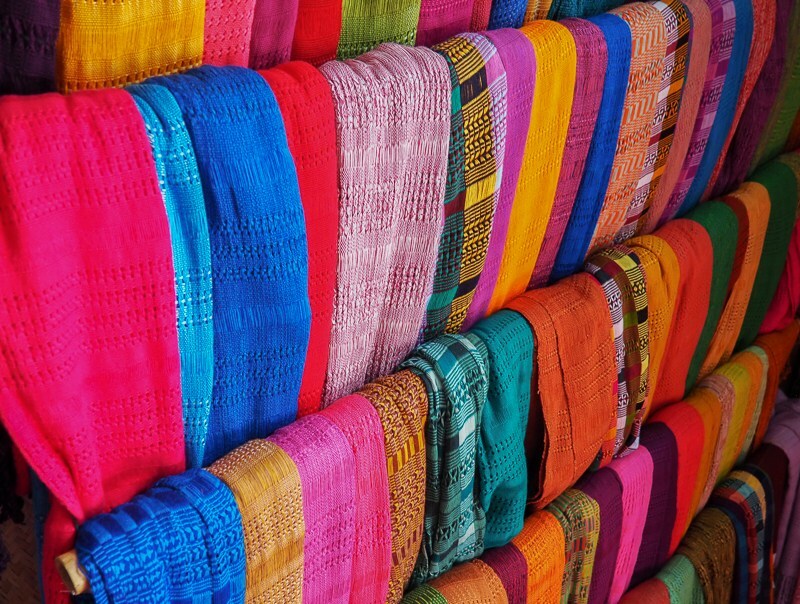 Prices on wooden masks, fabrics, ponchos, jewelry and other trinkets are the cheapest I have seen. Shuttle buses travel between Antigua and Panajachel a few times a day. From Panajachel, motor boats cross the lake from one village to another and you arrive on the dock of your choice. 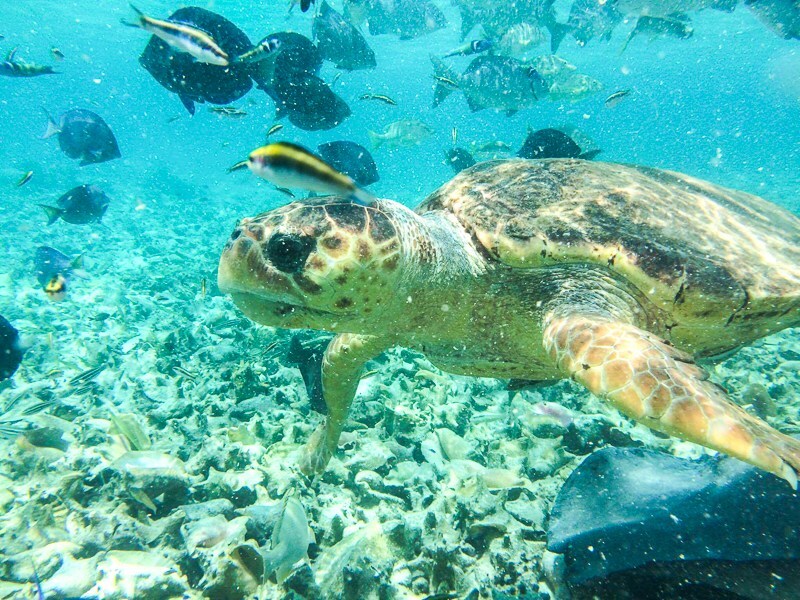 If you are not comfortable on the water, some villages are accessible by school bus from Panajachel. In addition to a visit to the most typical villages, you can also measure one of the volcanoes: indeed, the San Pedro, which rises to 3000 meters, can be the object of a ascent of day or night to take full view! Similarly, the activities are numerous: on the water, kayak, paddle and swim in the emerald waters of the lake are waiting for you. 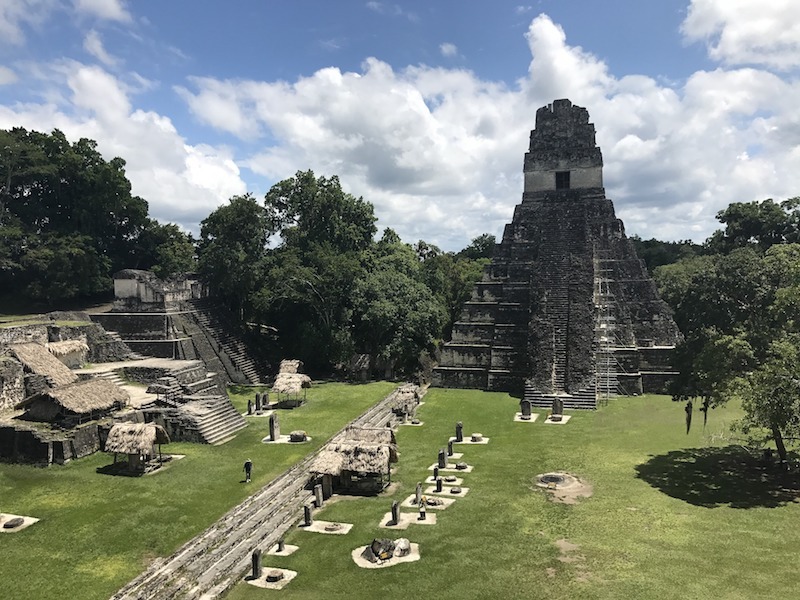 On the mainland, visits to handicraft centers, coffee or cocoa plantations and other hikes will ensure you an exotic and authentic trip to Guatemala. Unfortunately, I had a terrible experience in the hostel I booked with Hostelworld in San Pedro La Laguna. I advise you instead to book a room on another site. 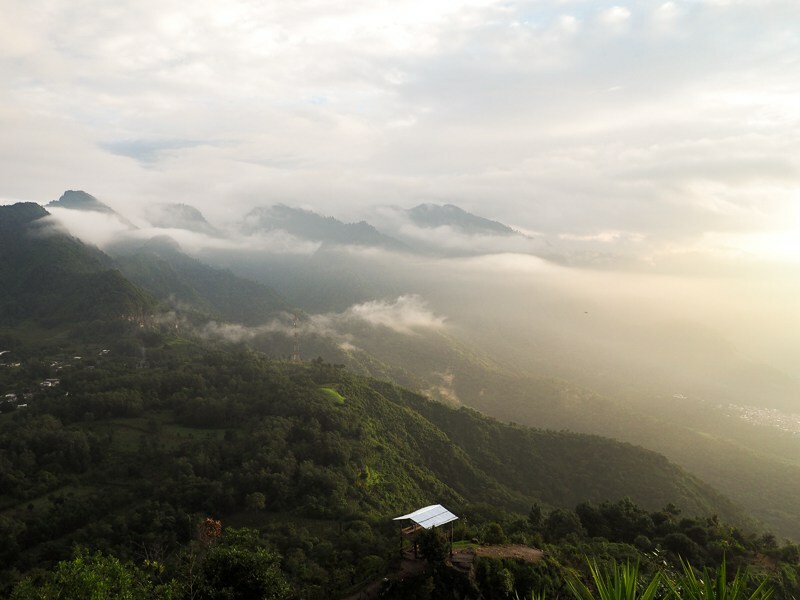 However, the little Hospedaje where I spent a night in Panajachel was very charming, and held by an endearing Guatemalan. I recommend it to you! Personally, I often find flights at the best prices via the Skyscanner search engine . I invite you to take a look, it does not commit you to anything. Make sure to have a jacket with you, as the temperature cools with altitude. The hiking boots are essential for all tours that you can do on volcanoes and mountains.